From London’s Leicester Square Theatre, the unique 1940’s Blitz Show & Dance Band – Five Star Swing. 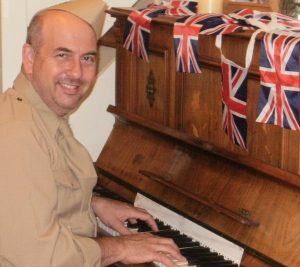 As featured at Dame Vera Lynn’s Charity Gala Nights. 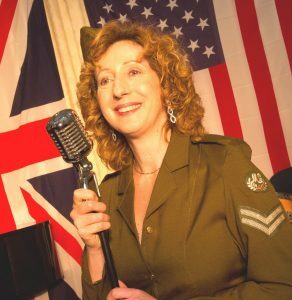 Famous War-Time tunes & “sing-a-long” songs brought to life by the singers and multi-instrumentalists of the 1940’s Five Star Swing band, (“Everyone was up dancing!” – Blenheim Palace). Featuring Simone from the latter days of the Ivy Benson Orchestra plus Chris Smith (Jnr) composer and arranger for Glenn Miller’s Brother, Herb and the BBC Radio Big Band. “A formidable Swing Band, beautiful ballads to glorious Big Band sounds!” – Encore Magazine. 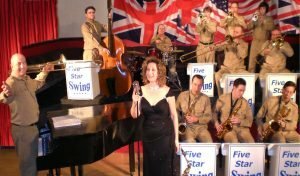 Five Star Swing was featured in the National theatre tour of TV’s “Military Wives” – Chris Says, ” I’ve been brought up with this style of music as my father (Chris Smith Snr) played trombone for Frank Sinatra on his European tours and the famous Ted Heath Big Band – we recreate a great atmosphere with Five Star Swing enjoyed by the band and all generations these days”. 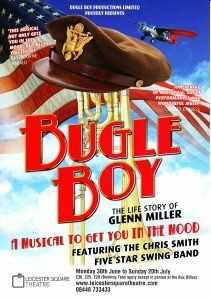 Five Star Swing was the featured band for the national theatre tour of “BUGLE BOY” – the Glenn Miller Story Musical! 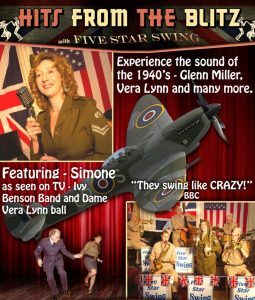 1940’s Five Star Swing was especially selected not only for Dame Vera Lynn’s Charity events but also for the society ball at the residence of the celebrated writer, David Croft for the original TV cast of “Dad’s Army”! 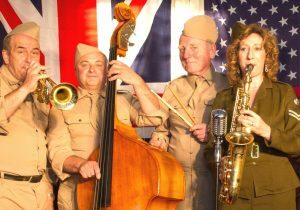 1940’s Five Star Swing have performed for all branches of the U.K military at social events throughout the country and are familiar with security requirements, scheduling and procedures – having also performed at the “Churchill War Rooms”, Westminster Palace, Imperial War Museum and “H.M. The Treasury” for Gordon Brown! Chris says – “Our vast experience ensures that YOUR event is filled with great fun and atmosphere for all”. Charitable beneficiaries of the band are “Help For Heroes”, “Royal British Legion Poppy Appeal” and “Children in Need”.